Let's face it - one of the best things about living in New York City is getting away from it once in a while. The question once you get that nagging case of wanderlust is, where do I even go?? During our ultra-busy, day-to-day, get-out-of-my-way New Yorker existence, it's sometimes hard to remember that nature is just a short drive away. The Easternmost tip of Long Island, Montauk Point Lighthouse, is only two and a half hours from Queens, and there's plenty to see in between. While for most people, the first Long Island vacation spot that comes to mind is the Hamptons, the North Fork is also completely worth the excursion. Take for example the picturesque, historic harbour villages of Port Jefferson and Greenport. 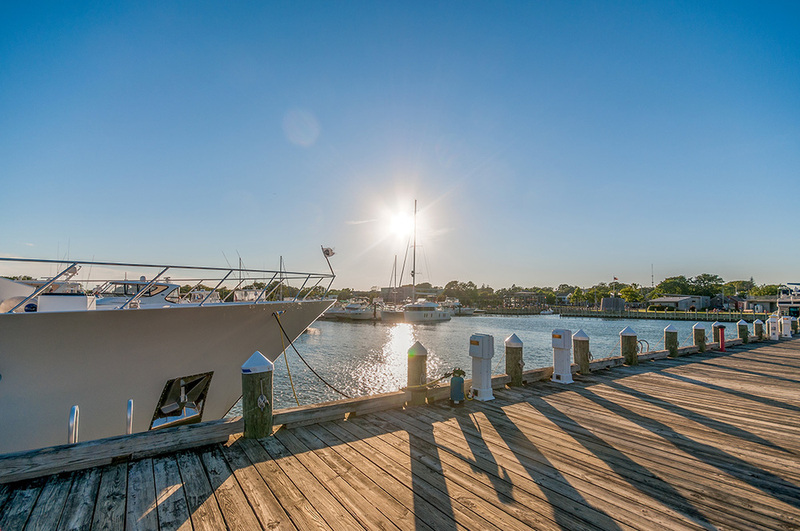 Port Jefferson, a former shipbuilding center, is now a popular destination for boaters in the Northeast and offers many great restaurants and unique shops to explore. If you're just passing through, we'd definitely suggest the Steam Room for some stellar seafood with a view of the harbour. For dessert, head right next door and choose from 40+ different flavours of ice cream to enjoy as you cross the street and stroll along the Harborfront park. If you're staying longer, be sure to check out their calendar of cultural activities, such as historical exhibits and outdoor movies and concerts. And heads up - they're also well known for their Charles Dickens Festival every December. Further along the North Fork, Greenport was once a whaling village as well as a shipbuilding center, and even had a reputation during Prohibition for its rum runners and speakeasies. Claudio's Restaurant, established in 1845 according to a plaque beside the front door, famously served the illegal booze and still has a Prohibition trap door to show for it. For something more casual, check out Claudio's Clam Bar where you'll find a mouth-watering outdoor raw bar under a waterside tented canopy, and some refreshing drink specials. (In spite of our cocktail snobbery, we will readily admit that the pina colada was actually quite good.) Get there on a weekend afternoon for some live music into the evening. Besides some great antique shops and galleries, this village also boasts an Antique Carousel right by the water, a local brewery, a painstakingly reconstructed blacksmith's shop, and the East End Seaport Museum which offers historic cruises to the historic lighthouses in the area. And don't forget that you're in wine country! Why not check out some of the many tasting rooms along the famed North Fork Wine Trail?